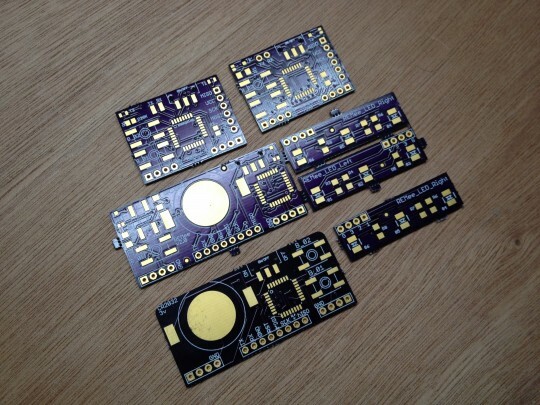 PCBs aplenty. 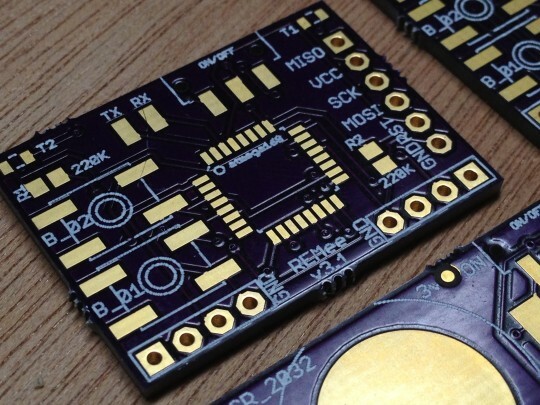 It’s been a while since the last update mainly because we’ve been engrossed in learning surface mount soldering and making tweaks to our PCBs. You can see we’re already through a number of versions and we’re pretty excited with how things are moving along. The topmost smaller board in the image is our final-ish design. We realized by putting the coin cell on the back of the board we can effectively cut the footprint in half. Makes the mask lower profile and more comfortable. 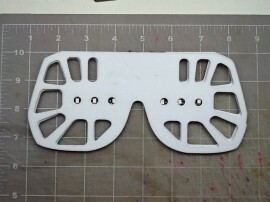 We also got some time on a friends laser cutter and were able to make some snazzy foam sandwiches that hold the electronics but stay soft and flexible. The thing is amazingly wearable, even for someone for me, a restless side/face sleeper. The code is also coming along nicely. The mask works by waiting for a predetermined long delay (say 5 hours or so), at which point the sleeper will be at their highest ratio of REM to deep sleep, then it pulses distinct light patterns at a much shorter interval. This way you are likely to have the lights coincide with REM a good number of times per night without having to have all the bulkier and less reliable components that go with REM detection. We’ve even managed to tune the atmega sleep function so that the chip is only on for two cycles every 8 seconds. It barely draw enough power to register on the multimeter, great for battery life. If you look close at the new board you’ll see we’ve christened project X with a real name too. 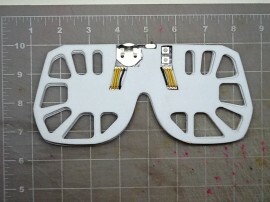 Look even closer and you’ll see the T1 & T2 solder pads where our awesome mystery feature is going to end up.